REUTERS/Jacky NaegelenChris Viehbacher, Chief Executive Officer of Sanofi, attends the company’s 2012 annual results presentation in Paris February 7, 2013. THE once-familiar line-up of bosses at France’s largest firms is getting less familiar all the time, as one after another is moved, fired or quits. 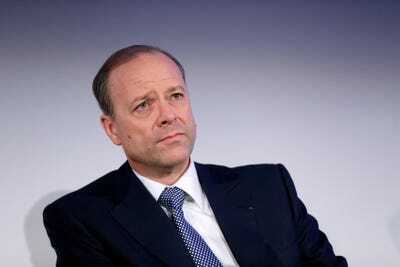 This week it was the turn of Christopher Viehbacher, the German-Canadian chief executive of Sanofi, a drugs giant, who was sacked mainly due to poor relations with the company’s board (or so the board said). Sanofi’s board promises to continue Mr Viehbacher’s policy of global expansion. But many believe it was the recent decision by the firm’s first non-French boss to move his office to Boston–closer to much of the research on which Sanofi relies–that provoked the rupture. The row, plus news that the firm’s important diabetes business was struggling against its competitors, had knocked 16% off the value of Sanofi’s shares by mid-week. Until then it had been France’s largest quoted firm by value. It has yielded that place to Total, the world’s fourth-biggest oil company. It was no boardroom row but a fatal aviation accident that removed Christophe de Margerie from its executive suite. For varying reasons, the bosses of the three other companies that dominate the French energy sector are on their way out. Last month, a day after the National Assembly passed a law to cut France’s dependence on nuclear power, officials made it known that Henri Proglio, the staunchly pro-nuclear boss of EDF, a state-controlled power utility, would not be staying on. Shortly thereafter, Luc Oursel, the boss of Areva, a state-owned nuclear-engineering firm, announced his early departure for health reasons. And GDF Suez, another giant utility, consecrated an heir apparent, Isabelle Kocher, to take over in 2016 on the departure of its current chief, Gérard Mestrallet. 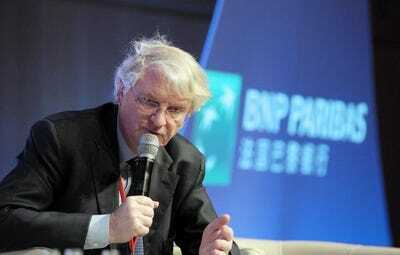 Other bosses saying adieu include Baudouin Prot, who leaves the chairmanship of BNP Paribas after the huge fine the American authorities imposed on the bank for sanctions-busting. Vivendi, a media conglomerate and Danone, a food-maker, have just changed bosses; Pernod Ricard, a drinks company and Safran, a defence giant, will do so soon. The precise reasons for the moves are different. But there are some common themes. In several cases–those of EDF, GDF, Pernod and Safran–it is about a generation of high-flying executives, born in 1949-50 and graduates of France’s most prestigious higher-education institutes, hitting retirement age. Another is the tension between the increasing globalisation of French industry and a centuries-old principle that business should serve the narrow national interest. France’s big firms have gone out into the world, in part to escape high taxes, strict labour laws and low growth at home. Vivendi seems to be embracing globalisation by choosing as its new boss a Frenchman who has been running an American publisher’s British operations. But the decision by Sanofi’s board to drop the international-minded Mr Viehbacher suggests that it shares the nervousness of French politicians, and indeed many voters, when such corporate jewels come loose from their settings and start to lose their Frenchness.